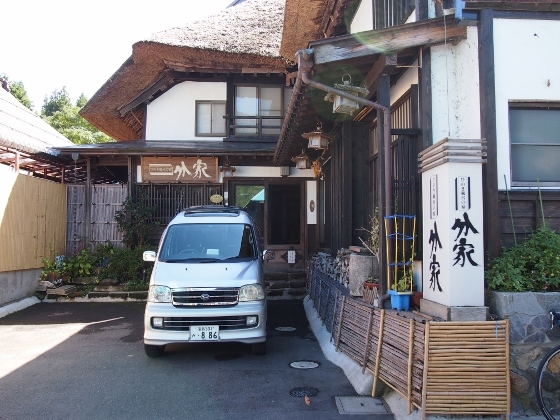 Today, I left Shirakawa City and went to Iwaseyumoto Onsen via Lake Hatori. 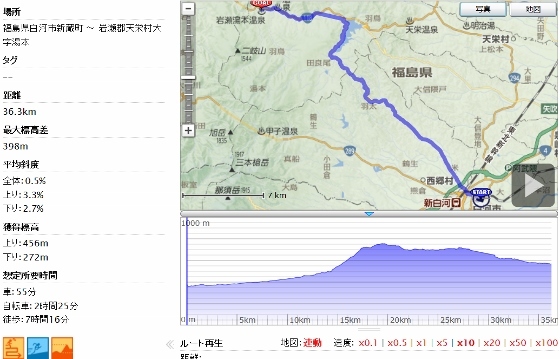 As shown in the GPS log above, it was a hill climb of about 20km before the pass (755m). 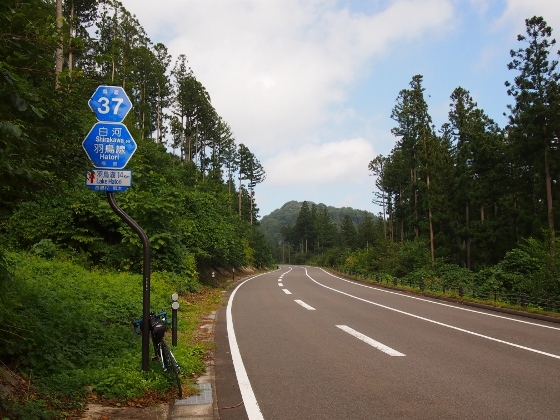 And then, it turned to a descent along Lake Hatori and to Iwaseyumoto. The picture above shows a view during the climb. Three pictures are shown above. 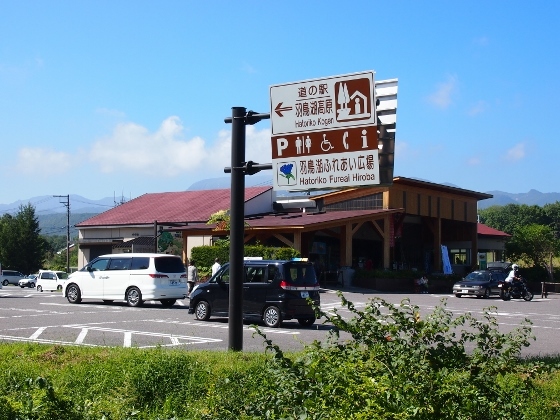 The first one shows the Roadside Station "Hatoriko-Kogen" which means Lake Hatori Heights. 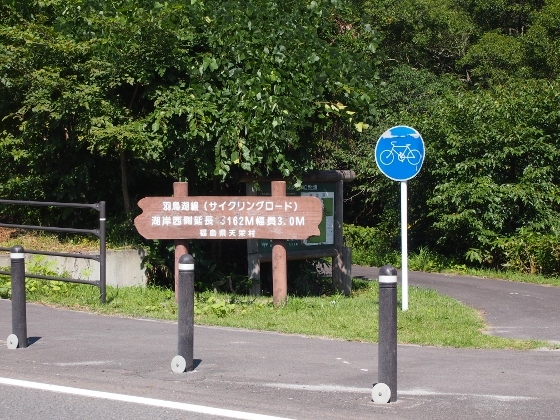 The next shows the starting point of a cycling road which goes around the lake half way. The last one shows the view of Lake Hatori. This Lake is an artificial lake for supplying enough water for agriculture. 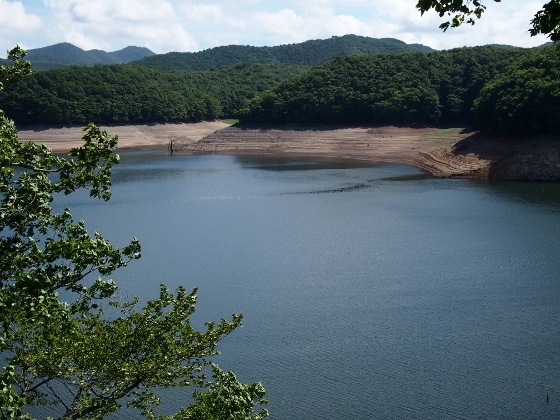 The water was in its low level due to the shortage of rain these days. Today, I stayed at Bunke Inn. Iwaseyumoto Onsen was a chloride spring of 48 degrees Celsius and the hot spring water naturally flooded the bath as it was. I could keep my bike inside the door on the spacious dirt entrance floor. The inn had a public LAN service for internet which was still uncommon in the remote countryside inns.